organization whose sole mission is to support and encourage individual artists working in all disciplines in order to enrich community life throughout Washington State. The EDGE Program offers artists a comprehensive survey of professional practices through a hands-on, interactive curriculum that includes instruction by professionals in the field as well as specialized presentations, panel discussions, and assignments. EDGE provides artists with the relevant and necessary entrepreneurial skills to achieve their personal career goals as well as to develop peer support and exchange. Since 2003, 593 artists have successfully completed the EDGE Program (that’s only about 54 artists each year out of all who apply). 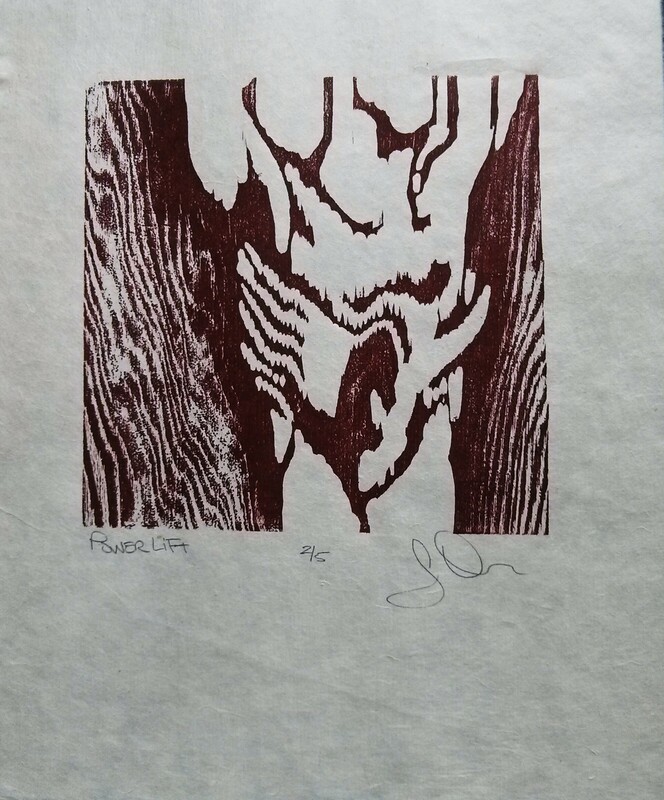 A years ago I completed a wood block print “Power Lift” that really speaks to my hopes for this series – through learning from other professionals and networking with fellow artists I hope to give my artistic career a power lift! Tags: art, artist, artisttrust, arts, community, fine art, professional development, seattle, training. Bookmark the permalink.